10 Year Olds Julia and Natalie Prove - Pittwater's Got Talent !!! 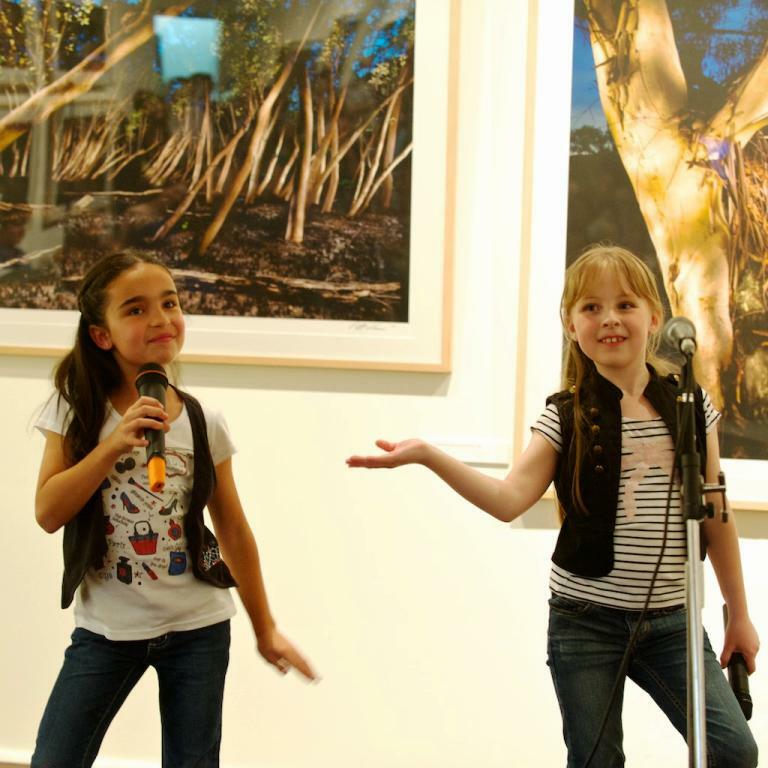 Northern Beaches 10 years old singing duo Natalie Theodore and Julia Manias were recently featured on Channel Nine’s Australia’s Got Talent, belting out a stirring audition performance of the Tina Turner classic River Deep Mountain High. Displaying powerful vocals and strong harmonies, the girls were given a rousing reception and will be featured in the semi finals to be aired on Sunday September 22nd, at 6.30. Teaming up for the first time as 8 year olds, they came to public attention winning first prize in Warringah Mall’s Star Search at the beginning of 2012, performing Good Morning Baltimore from the musical Hairspray. Since then, they have gone on to perform successfully at a number of talent shows and public events on the northern beaches including the 2012 Manly Choral Christmas Concert. The girls have also been busy on the Eisteddfod circuit competing in a number of vocal categories including pop, musical theatre and jazz in the last two years. They have achieved success both as soloists and as a duet at the Northern Beaches, Ryde, St George and Sydney Eisteddfods. Natalie’s and Julia’s performance experience also received a boost earlier this year when they each landed roles in significant stage productions. Natalie featured in the Belvoir St Theatre production of Cat on a Hot Tin Roof, alongside acclaimed Australian actors, Jacqueline Mackenzie and Ewan Leslie. Meanwhile, Julia scored the role as Little Cossette in the highly successful Willoughby Theatre Company production of Les Misérables. Having first met at pre-school (Jack and Jill at Mona Vale) they have developed a strong friendship through their shared passion for music and performance. When not pursuing their extra curricular interests they also share the same class in Year 4 at Sacred Heart Catholic School Mona Vale. Exhibiting musicality at a young age they have both been learning piano, singing and dance from the age of 5 years and currently attend Dynamite Performing Arts school at Newport where they study ballet, musical theatre and jazz dancing. The girls also attend Sydney Vocal Arts Centre at Manly, where under the tutelage of director Margi Coen, they are learning their vocal craft and exploring drama and musical theatre performance. Apart from singing, dancing, and piano, Julia loves the mighty Manly Sea Eagles, Taylor Swift, her two border collies, and downloading apps onto the ipad. Natalie’s other interests include reading, art, netball and her much loved cavoodle Lulu. Link to articles in news.com.au re Oscar winning costume designer fitting out the girls and story about kids making semis. Performing at Manly Arts Festival - aged 9 years.